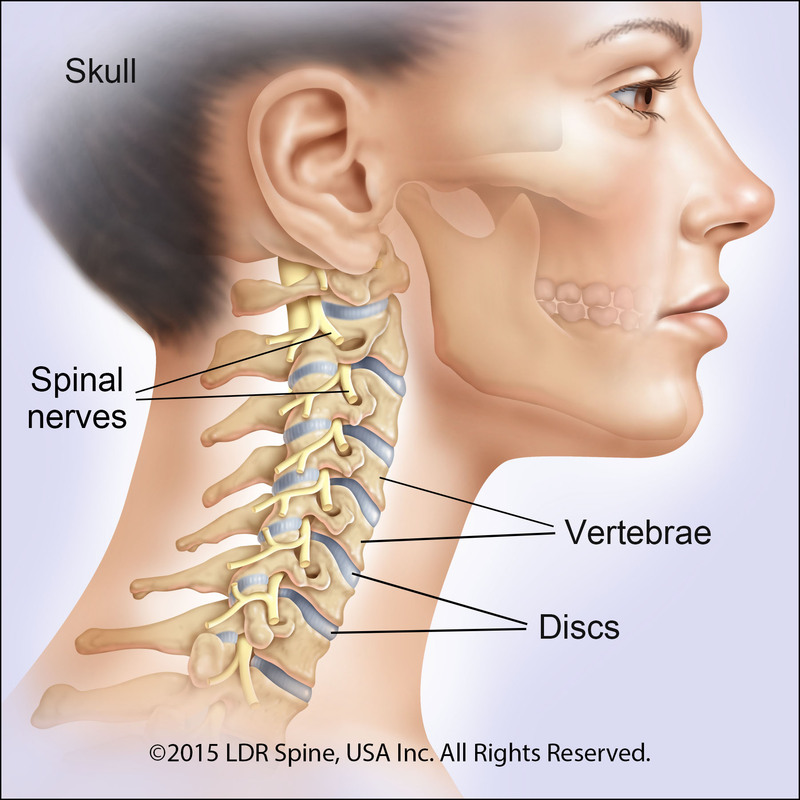 The Mobi-C cervical disc is one of the most widely used cervical discs in the world. First implanted in Orleans, France in November 2004, Mobi-C has been implanted in more than 17,000 spinal levels in 25 countries. A total of 599 patients were involved in the Mobi-C U.S. clinical trial, which represents the largest concurrent clinical trial ever conducted for cervical disc replacement. Mobi-C contains patented Mobile Core Technology™ that allows the polyethylene core to slide and rotate inside the disc for self-adjustment to the cervical spine movements. 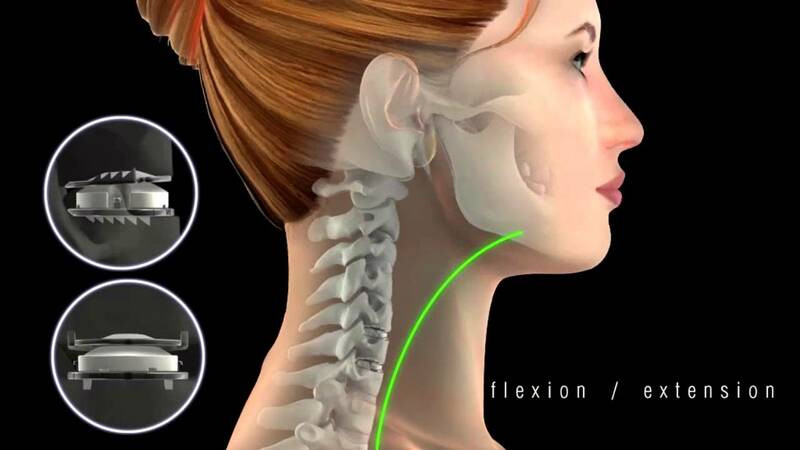 This means that Mobi-C can react to the normal motion in the cervical spine. Mobi-C provides bone sparing fixation without chisel cuts into the small vertebral bodies of the cervical spine, making it safe for implantation at two levels. Mobi-C Disc Replacement is performed under general anesthesia, usually as an outpatient procedure. The neck is cleansed and prepared for surgery. An incision is made on the left or right side of the neck. 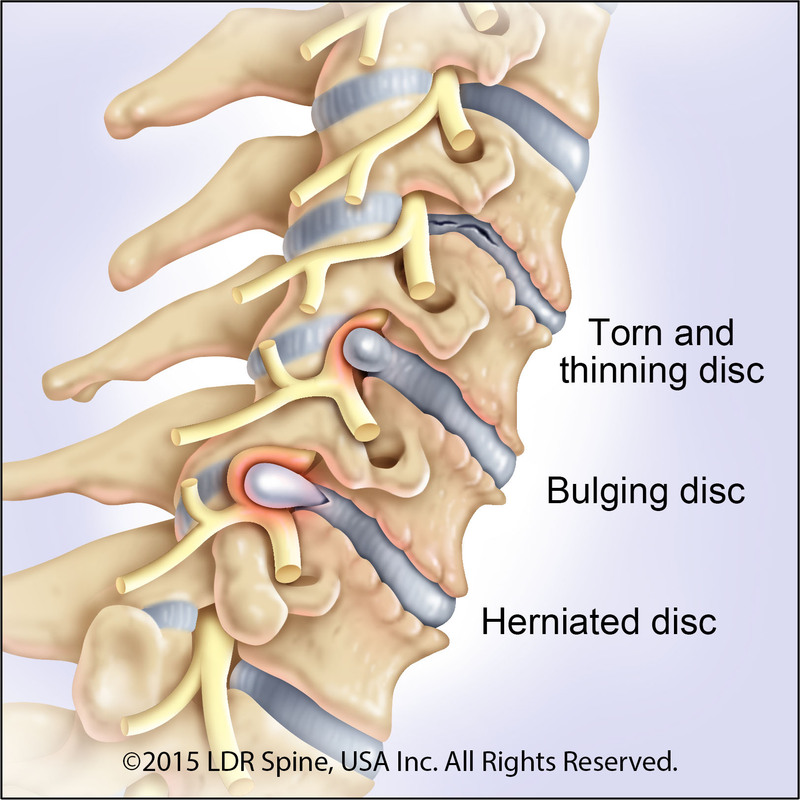 The soft tissues and muscles are gently mobilized to expose the herniated disc. Dr. Stieber uses fluoroscopy, a type of real time x-ray during surgery to confirm the location of the disc and to guide ideal placement of the device. Pins are placed under x-ray guidance for distraction and specialized surgical instruments are used to remove the ruptured disc and any bone spurs that were causing nerve compression. He then uses a microsurgical nerve probe to confirm that the nerve roots are free from compression. Measurement tools are used to confirm the appropriate size of the replacement, confirmed with real time x-ray. The Mobi-C device is then placed utilizing dedicated instrumentation. The incision is washed out with an antibiotic solution and the tissues are allowed to fall back into place. The incision is closed with absorbable suture and a plastic surgical-type closure. A small dressing the size of a large bandaid is applied. After surgery, the patient is moved into the recovery area. During your Mobi-C disc replacement recovery, nurses and other members of the medical team closely monitor the patient’s vital signs – pulse, respiration, blood pressure, and pain. Some post-operative pain should be expected and patients receive pain medication either through their IV (intravenous line) or by mouth. A post-operative cervical brace may be prescribed to wear for a period after surgery to help immobilize and support the neck while healing. Dr. Stieber provides disc replacement patients with information about what to expect and self-care after hospital discharge. This information includes instructions to control pain, medications, diet and managing constipation, bathing and incision care, activity restrictions, and the surgical follow-up appointments. As always, Dr. Stieber and his staff welcome questions and ensure that all patient concerns are thoroughly addressed.